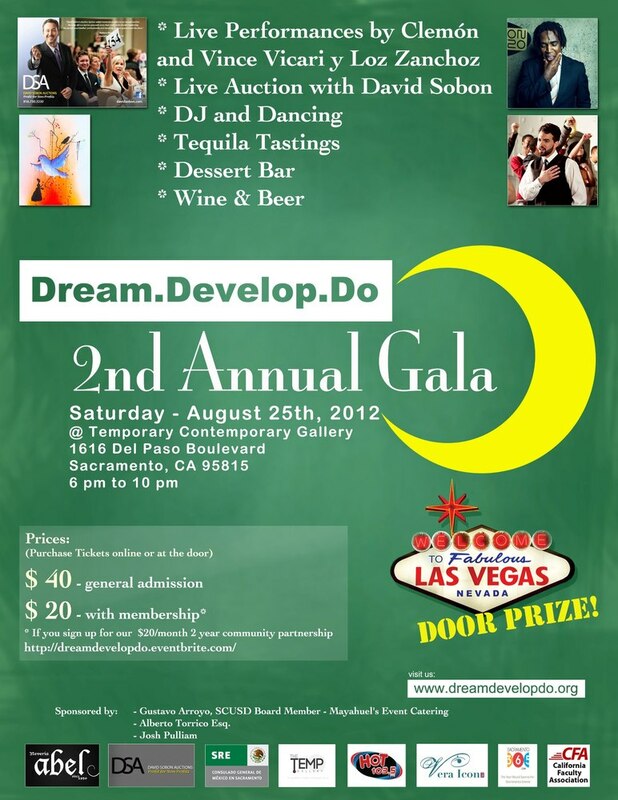 Sacramento Attend or Volunteer: Dream.Develop.Do.’s 2nd Annual Fundraising Gala! Dream. Develop. Do. Mission: Our mission is to work with individuals who are interested in attending college and helping them make a higher education attainable and affordable, as well as work with groups or organizations in developing sustainable and ethical business practices that will provide for the traditionally underrepresented and under served populations of California; to create a sustainable and ethical difference that enhances the quality of life of those we serve.